Rick went fishing with a friend from Karlstad last November and took the boat out just before the river started to freeze over. The friend just got the picture developed (old school ;-). 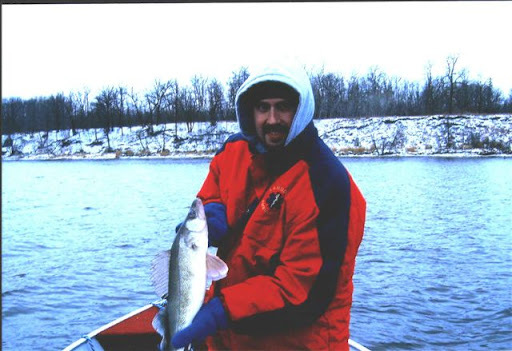 So, here’s the pic of Rick’s first walleye ever caught (not the first time walleye fishing…probably about the 40th time). He caught it on the Rainy River up by Baudette. She was a beaut. She was also the only one caught all day (it was early November and the temp was between 20 and 0 degrees). Oh well, at least it was a decent sized fish for only catching one. Next Next post: Hot Lips?